United National Congress (UNC) political leader Basdeo Panday has suggested that there should be another approach to dealing with marijuana usage. "I think we ought to look at that. To see whether prohibiting things really ends the problem," he said. Panday was speaking on the Synergy cable station "youth forum" broadcast on Tuesday night; Congress of the People political leader Winston Dookeran's interview was broadcast on Monday night and Prime Minister and People's National Movement political leader Patrick Manning's interview was scheduled to be broadcast last night. Panday, commenting on the issue of marijuana and drug use among youths, recalled that in the old days there was a shop in Princes Town where they sold "ganja" as he noted it was called back them. Interviewer Jason Williams pointed out that marijuana-scientifically known as cannabis sativa-was still called that today. The UNC political leader reminisced that on a Saturday night, after people had worked in the fields all week, they would smoke ganja in a chillum and pass it around. "It never was a problem. That is the strange thing about it. I think we ought to go back and study that," he said. Panday explained that if ganja was made unavailable "fellas would plant it in their backyard" and it would be as unsuccessful as the US attempts to prohibit alcohol, which occurred in the 1920s and early 1930s. He said there needed to be "another approach" but he did not specify. The decriminilisation of marijuana has been a hot button issue in Jamaica for many years. Panday noted that "heavy drugs", however, were another matter, and pointed out that 80 per cent of crime in this country was linked to drugs. He advised to deal with drugs the "mafia" has to be dealt with. During the interview Panday also spoke about addressing the "brain drain" of academics from this country by providing opportunities for employment and housing, providing low cost dormitories for University of the West Indies students, in the face of rising rents, and encouraging young people in business. EXPLAINS A LOT TO ME...I WONDER IF HE AND DOOKS AND KAMLA AND JACK ALONG WITH GANGA SINGH DID SIT AROUND PULLING ON AH CHILLUM? KINGSTON, Jamaica - Jamaica is considering the legalization of marijuana , a drug revered by members of the island's large Rastafarian population who say smoking it is part of their religion. A seven-member government commission has been researching possible changes to the Caribbean nation's anti-drug laws, which some police complain are clogging courts and jails with marijuana-related cases, a government official said Friday. "We have discussed it, and we are preparing a report to present to the prime minister," said Deputy Prime Minister Kenneth Baugh. In 2003, a government commission recommended legalizing marijuana in small amounts for personal use. But lawmakers never acted, saying legalization might entail loss of their country's U.S. anti-drug certification. Countries that lose it face economic sanctions. A U.S. State Department report Friday said that Jamaica is the largest producer of marijuana in the Caribbean and a major hub for drugs bound for the United States. Members of the Rastafarian movement, which emerged in Jamaica in the 1930s out of anger over the oppression of blacks, have long lobbied for the legalization of the drug that they say brings them closer to the divine. There are an estimated 700,000 Rastafarians in the world, most of them among Jamaica's 2.6 million people. I have been hearing that for the longest time. They can't eradicate ganja from JA. Ganja is a natural plant. Not that I will use it. There is medicinal value to ganja. It is a sedative. the only problem is that humans want to use all the flooking time. That is where the problem ies. That figure is questionable. Who really believes that most of the world's Rastafarians live ayard? Steups. In fact, ah wonder if de reporter using de correck terminology. Allyuh playing politically correck on dis issue or what? Dis thread is surprisingly stunted. Iz full time now. is since the 30's this movement has been in Jamaica and with the spread of Bob's music it has spread around the world. everywhere you look now a days there are people with rasta hair styles. That in itself may not prove that they are following all the precepts, but an indication of something about Rastafarianism none the less. Countries like The Netherlands have tolerated herb for years, but the conservative element is putting a squeeze on things. The Canadian Senate had called for it's legalisation. That will probably never happen in my lifetime considering our NAFTA partners. many people say that marijuana has no side effects, yet "In July 2007, British medical journal The Lancet published a study that indicates that cannabis users have, on average, a 41% greater risk of developing psychosis than non-users." Since my job now is dealing with people on the fringes of society, I tend to understand the latter point. How much $$$$$$$$ and tangible/intangible resources gehhin wasted in Trini in pursuit of this folly? No government will comletely legalize weed or anything else unless they can find a way to get their stink little hands in it to make a killing offa taxes. For Jamaica that probably means only small money transactions to cut down on summary type offences. Weed can be easily gprown and sold in small portions without hassle and extra expense. But coke must be imported in large quantities and is much more expensive to make and will still have HEAVY social and medical penalties. A good way to go about it may be a prohibition on the sale/posession of more than 10g or whatever amount of weed. I say legalize all drugs yes....Put ah cap on de price so that everyone who want it can afford it. So no big setah teffin go happen and all dem drug lords not going to want to push no more and they could become legal businessmen. Make sure de quality good and dat way yu not going to have so much ppl ODing all de time. Hospitals not going to see all dem crackheads all de time. Gov't could ress ah tax on it so that it would help pay some ah dem bills or push it to poor ppl so dat dey could live better....Man so much could be done yes. I fully support the decriminaliation of drugs, this war against drugs will never be won and based on personal experience of visiting Holland and Portugal the system they have there seems to work. It has constantly be shown that in Europe (excluding scandanivia) Holland has one of the lowest rates of drug addicition. We can look at the prohibition of Alcohol and what happened in that era with the rise of the MAfia and the deaths due to home stills almost mirrors the drug trade of today. From a cost-benefit analysis I wonder whether a credible case can't be made for us saving some of these resources we're currently expending. Lehwe admit it ... our fight against drugs is in shambles and our security infratructure remains both porous and compromised ... my perception is that there is a fear/stigma associated with deviating from the path laid out by the US for fear of compromising foregn aid and assitance ... yet, even the Brits have moved away from some strict prerogatives in this arena ... as well, cops in some jurisdictions don't want the hassle of pursuing a 'lil weed' in court and a lengthy papertrail ... there are so many contradictions and paradoxes. think about the children being beaten and abused because dad was high??? think about the amount ah people losing jobs because they always drunk??? think about the workers output when ah man too drunk to function properly??? think about the doctor who 2 shot b4 operating on yuh wife??? The legal system is one of the most wasteful and counterproductive branches of government. Think of how much one stupid marijuana charge cost taxpayers and citizens. Investigation, police report, cost of operations, cost of having to defend oneself, cost of the courts time, costs associated with court paperwork, cost associated with of more serious charges getting delayed, costs of possible incarceration, use of expensive painkillers when weed could be an easy substitute, and then repeat the whole thing over again, several times a day. This is the 21st century. We must have the courage to try new things and not just wait for others to act. 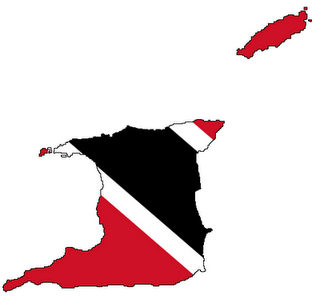 T&T would save a great deal of money and free up resources to do what is really needed: fight violent crime and the importation of hard drugs, if we were to drop petty posession offences. Just fore the record I don't smoke cigarettes or weed and rarely consume alcohol. Duly noted . But on de real, support of legalization need not mean subscription to said products. ah feel dahis why some of us being silent/circumspect. dey should legalize it in Kentucky... since is de no 1 cash crop already ! Daniel Siebert, an amateur botanist, poses with salvia divinorum plants outside his Malibu, Calif., home. Florida is considering making the herb illegal. What keeps you up at night? Gut Check America wants you to tell us what really matters to our country. Click here to learn more and get involved. TALLAHASSEE, Fla. - On Web sites touting the mind-blowing powers of salvia divinorum, come-ons to buy the hallucinogenic herb are accompanied by warnings: "Time is running out! ... stock up while you still can." That's because salvia is being targeted by lawmakers concerned that the inexpensive and easy-to-obtain plant could become the next marijuana. Eight states have already placed restrictions on salvia, and 16 others, including Florida, are considering a ban or have previously. "As soon as we make one drug illegal, kids start looking around for other drugs they can buy legally. This is just the next one," said Florida state Rep. Mary Brandenburg, who has introduced a bill to make possession of salvia a felony punishable by up to five years in prison. Some say legislators are overreacting to a minor problem, but no one disputes that the plant impairs judgment and the ability to drive. Native to Mexico and still grown there, salvia divinorum is generally smoked but can also be chewed or made into a tea and drunk. Called nicknames like Sally-D, Magic Mint and Diviner's Sage, salvia is a hallucinogen that gives users an out-of-body sense of traveling through time and space or merging with inanimate objects. Unlike hallucinogens like LSD or PCP, however, salvia's effects last for a shorter time, generally up to an hour. No known deaths have been attributed to salvia's use, but it was listed as a factor in one Delaware teen's suicide two years ago. "Parents, I would say, are pretty clueless," said Jonathan Appel, an assistant professor of psychology and criminal justice at Tiffin University in Ohio who has studied the emergence of the substance. "It's much more powerful than marijuana." Salvia's short-lasting effects and fact that it is currently legal may make it seem more appealing to teens, lawmakers say. In the Delaware suicide, the boy's mother told reporters that salvia made his mood darker but he justified its use by citing its legality. According to reports, the autopsy found no traces of the drug in his system, but the medical examiner listed it as a contributing cause. Mike Strain, Louisiana's Agriculture and Forestry Commissioner and former legislator, helped his state in 2005 become the first to make salvia illegal, along with a number of other plants. He said the response has been largely positive. "I got some hostile e-mails from people who sold these products," Strain said. "You don't make everybody happy when you outlaw drugs. You save one child and it's worth it." An ounce of salvia leaves sells for around $30 on the Internet. A liquid extract from the plant, salvinorin A, is also sold in various strengths labeled "5x" through "60x." A gram of the 5x strength, about the weight of a plastic pen cap, is about $12 while 60x strength is around $65. And in some cases the extract comes in flavors including apple, strawberry and spearmint. Some Web sites tout the product with images like a waterfall and rainbow and include testimonials like: "It might sound far-fetched, but I experience immortality." Among those who believe the commotion over the drug is overblown is Rick Doblin of the Multidisciplinary Association for Psychedelic Studies, a nonprofit group that does research on psychedelic drugs and whose goal is to develop psychedelics and marijuana into prescription medication. "I think the move to criminalize is a misguided response to a very minimal problem," Doblin said. Doblin said salvia isn't "a party drug," "tastes terrible" and is "not going to be extremely popular." He disputes the fact teens are its main users and says older users are more likely. "It's a minor drug in the world of psychedelics," he said. Moreover, it's hard to say how widespread the use of salvia is. National and state surveys on drug use don't include salvia, and because it is legal in most states, law enforcement officials don't compile statistics, either. San Diego State University last year surveyed more than 1,500 students and found that 4 percent of participants reported using salvia in the past year. Brandenburg's bill would make salvia and its extract controlled substances in the same class as marijuana and LSD. Florida state Sen. Evelyn Lynn, whose committee plans to study the salvia bill Tuesday, said the drug should be criminalized. "I'd rather be at the front edge of preventing the dangers of the drug than waiting until we are the 40th or more," she said. in Canada where salvia is legal to possess, cultivate, and sell. ANTHONY MARCANO decided to stop feeding his feathered friends traditional bird seeds and instead he resorted to marijuana seeds. The idea to give marijuana seeds to his birds came from an old man, Marcano, a labourer of Pleasantville, San Fernando told the San Fernando Second Magistrates' Court on Wednesday. He was held on Tuesday with 16 grammes of the drug after he was searched. Marcano, 32, admitted he had the drug and that he smoked marijuana. "Because you smoke, you feel the birds should have something too?" Magistrate Melvin Daniel asked Marcano, who said he fed the birds with marijuana seeds once every other day. "You think that would get your birds bigger?" Daniel asked Marcano, who had served six months jail on a previous charge. He did answer the question but said marijuana seeds cost less than bird seeds. "Don't distress your birds," Daniel told Marcano as he ordered him to pay a $2,500 fine. FOR the past 12 years Wayne Leith said he would boil marijuana and drink it to help his eye problem. On Wednesday, as he stood before Magistrate Melvin Daniel, he resolved to visit an eye specialist instead. Leith, a mason, was held on Tuesday at Carlton Lane, San Fernando with three grammes of marijuana. He said he was short-sighted and would boil and drink the marijuana which cleared his both eyes within 48 hours. This remedy would last up to four months, Leith told the San Fernando Second Magistrates' Court. This may shock you, Daniel told the 46-year-old, but there were millions of nearsighted people who did not use marijuana. Leith, who spoke with a heavy American accent and said he lived abroad for some time, agreed. "I would go to the eye specialist as soon as possible," he said. Daniel told him he would first have to pay the $3,000 fine imposed or he would have to serve 18 months in prison. Leith had previous convictions for possession of marijuana and a device for using cocaine. Some years back it had one tell ah magistrate he does smoke because of mosquitos , he say that he from Moruga and the mosquito problem real bad but when he smoke it does drive away the mosquitos and he don't feel the bite. The magistrate tell him it cheaper to buy cockset and fine him. What he did'nt tell the magistrate was that in moruga ganga plenty cheaper than cockset. but as youths, my brother had real birds in cage. The occasional times I would slip some ganja seed into the bird's mix..talk bout chune that bud singing.. but the birds used to also fly direct into the cage walls..like they gone mad as well. Yeah I have no issues with marijuana use by any means, but ah can't condone giving the seeds to birds....That could real f*ck up a lil bird dread.... Animal tolerance to that kinda thing is very low...(especially a small creature like a bird...laaawd).